Stokesley Sports Club FC is a non-league football club from the market town of Stokesley, which is located in North Yorkshire around town miles south of Middlesbrough. The club was formed in 1920. The team participated in various local leagues; The Stokesley & District League, Langbaurgh League and the South Bank & District League playing at The Bypass and Springfield before moving in with Stokesley Cricket Club before they moved out in 1963 to use several more venues. The club became members of the Teesside League in the summer of 1994, two years after returning next door to the cricket club. 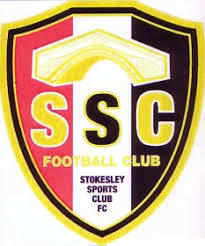 Stokesley went on to become members of Division Two of the Wearside League for the 1999-00 season. The team finished as runners-up in their debut season before the league became just one division for the following season. 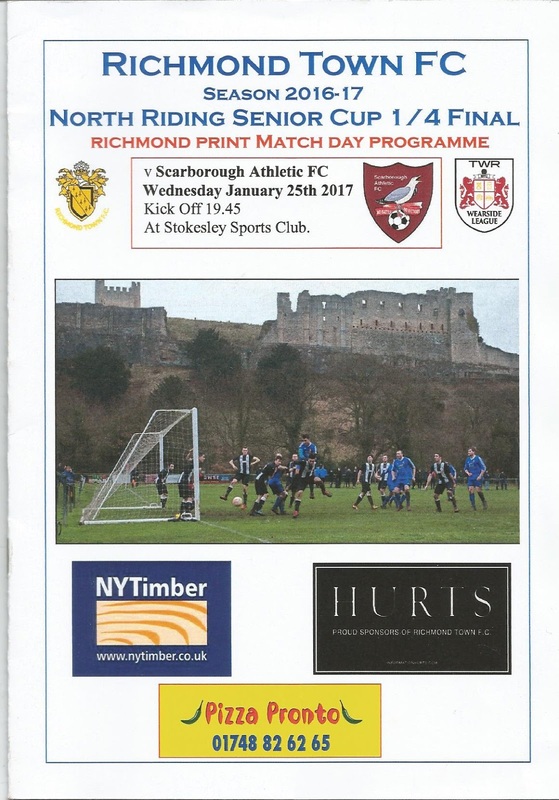 In 2004 Stokesley Sports Club and the North Riding Football Association won a lottery grant for £894,000 to build a new clubhouse, and ground development to meet Northern League standards as the local FA moved in to the site. The 2005-06 campaign saw the club finish as Wearside League runners-up and progressing to Division Two of the Northern League, before changing their title to Stokesley FC in the summer of 2009. The team ended the following season as divisional champions, securing promotion to Division One. Stokesley reverted to their original name in 2011 before they were relegated to Division Two at the completion of the 2011-12 season. The 2015-16 campaign saw the club finish bottom of the table to face relegation back to the Wearside League. The team finished the 2016-17 season in fourteenth position under manager Craig Winter. Stokesley Sports Club will play in the Wearside League in the 2017-18 season. My visit to Stokesley kicked off six days of football on the road as I used up the remainder of my annual league. The fixture was being played at the Sports Club as ‘home’ team Richmond Town had no floodlights at their Slee Gill home ground. My day had been fun packed in improving weather as I headed north on the train to Darlington before I obtained a £7.80 one day bus ticket and visited the home grounds of Darlington, Darlington Railway Athletic, Shildon, Bishop Auckland, West Auckland, Crook Town and Willington football clubs. After a quick look at Bishop’s old home at the cricket club I took a train to Middlesbrough where it was time to grab some food before catching the 28A bus through the Cleveland Hills to Stokesley. The floodlights of the ground were visible as we approached the town. I alighted so I never got a look at the town or its pubs, which in hindsight may have been an error. Instead I headed straight to the ground and paid the very fair £4 admission along with a programme for another quid. It was my first time at the ground so I wasn’t aware that the clubhouse and bar were outside the entrance. The kind lady on the gate let me back out so I could head for the warm on what was becoming a very cold evening. The clubhouse was neat and tidy even though there was no real ale. I plumped for a bottle of Newcastle Brown after a warming cuppa as the room began to fill up with Boro fans. The travelling support supplied the majority of the crowd. Once back inside the venue I took in the scene. There was a neat seated stand down the near side with two low covers behind the goal by the entrance. The rest of the ground consisted of open flat grass and concrete standing. It was lovely to catch up with old friends; Boro directors Nick Finch and Andy Troughton along with Colin Whelan who was giving me a ride to Scarborough after the game and Nigel Searle along with the unpredictably entertaining Steve Dixon. This turned out to be my only Boro game of the season. I really should have made more of an effort, but I didn’t want to attend a home game. This was owing to not wanting to test my emotions too far. It was the last place I’d gone to a game to with my Dad. Naturally enough, I was unfamiliar with Boro team and was interested to see what Steve Kittrick’s outfit had to offer. At the time they were in a mid table berth. Their opponents were riding high in the Wearside League. It turned out to be a very testing evening for the Seadogs as underdogs Richmond flew into challenges and were not prepared to leave anything out on the pitch. Callum Robinson came close for Boro on sixteen minutes but his drive was saved by Karl Latcham. The visitors suffered an injury blow shortly after when full back Scott Brown was pole axed with a shocking challenge. He departed with a suspected broken leg. Scott Ryan was proving a handful up front for Town. He twice got round the back of the visiting defence but couldn’t score. Richmond’s no nonsense approach was rattling the Boro team, not to mention the supporters. Dan Caisley brought a good save out of Seadogs keeper Jordan Porter from distance. Bro replied with efforts from debutant Matt Lucid, Dave Merris and Jacob Hazel. At the break it was time to head back to the warmth of the clubhouse before returning to take advantage of the excellently priced catering. A Bovril was only 80p, which an excellent cheeseburger with onions represented great value at £2. We stood in the shelter behind the goal in the second period. Some of the stuff coming from the away support had to be heard to be believed. Referee Wood was having a weak game but I still think some fans in red and white were watching a different game? Merris had a free kick turned over the bar, while Hazel saw a volley deflected inches wide of the post. There was an amusing incident when home keeper Latcham began to limp. A team mate took over the gloves but no substitute came on? Latcham re-appeared a few minutes later having been to the loo to relieve himself! The match was showing all the signs of ending goalless and going to penalty kicks. Latcham wasn’t the same keeper after his adjournment, as he flapped at crosses. Boro piled on the pressure without breaching the Richmond defence. As the game entered its final minutes Boro went ahead when forward Benny Igiehon glanced a header towards goal. Latcham should have saved it but he could only parry the ball into the corner of the net. It was well deserved after a period of positive football. Home forward Ryan was shown a second yellow card as Town were reduced to ten men. Jason Newall then felled Boro’s star man Robinson in the box. Hazel stepped up to score from the spot and secure a passage into the semi-final. Richmond had played their part, if in an aggressive fashion at times. Their fans went away disappointed, but proud at the same time. Colin drove marvelously as ever and I was checking into the Premier Inn in Scarborough around midnight ready for a good sleep. After a very pleasant morning and lunch in the town, including magnificent fish and chips at Mother Hubbard's, I headed down to Hull for the second match of my extravaganza; the EPL Cup semi-final between City and Manchester United.